User can continue to edit it in a simple CMS. Most clients need a website of approx. this size. very easy to use CMS with 100% WYSIWYG (What You See Is What You Get). This package is the most recommended for majority. It requires detailed 'case study', followed with graphic design and good technical 'background' (w/ webmaster). Usually made in CMS tool Drupal. A client can edit the page himself (to some degree). Recommended for clients who already have a webpage, but want something more. 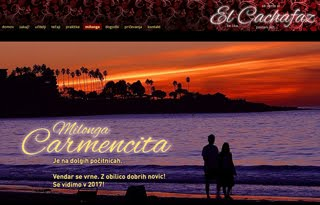 Graphic design of the website (unique). Homepage and to 4 sub-pages. (if same CMS tool is used). Static website with possibility to upgrade. Activation of the website with your domain. Setting up to 3 email addresses (cPanel). Testing the website for compatibility: Windows, macOS and Linux in Chrome, Firefox and IE. Homepage and 5 to 15 sub-pages. create partly dynamic content (option). Setting up to 10 email addresses (cPanel). Protection of the website emails again spam. Testing on smartphones (Android and iOS). In case of CMS Google Sites, upgrade to New Google Site is included. Instructions how to do external optimization. Facebook, Google+, Linkedin and conecting. Graphic design of website (unique). Homepage and more than 16 sub-pages. Website with party dynamic content (included). Setting up to 20 email addresses (cPanel). In case of Drupal, Wordpress etc. is automatically updated. Executing external optimization for 6 monts. Facebook, Google+, Linkedin and connecting. Payment in 15 days after delivery. No matter is the website is bigger or small. Case study is the base needed to build your website. Especially, if the website is mid or big size. Such a website can be a big help to the sales team - a potential client can find the key information and can easily focus on the problem he is trying to solve. Salesperson can then assist him with specific question. In modern time people do not even call any more (or much less). Buyers rather write the message (in many cases without contact information). Keeping buyers interest with writing only is not easy. Buying habits have changed. The concept of the website has to be designed to help the buyer and our salesperson. Our website, social network, videos, everything must be designed to help the buyer solve his problem. Designed to be nice only is great, but unfortunately not enough. It is important to understand the typical potential buyer and his modern habits. Happy client will be our best advertising. With case study. Survey, etc. We can help you with that. it is 100% FREE. Check just first two sections. Just that. anyone has to do the survey first. How to make a survey by yourself. It is very simple and quick. FREE instructions. For simple or less demanding as well for medium size websites, is appropriate to use a CMS tools (CMS = Content Management System). Some, 100% free are TYPO3, Contao, Bold, Tidy, ExpressEngine or Google Sites. For more demanding websites we recommend Drupal CMS and Typo3 (and some others). Many CMS tools advertise they are free, but they have hidden limitations or 'tricks' (of course, they have to live from some income...). Anyway, choosing the right CMS is not easy. Before you make the decision, write down your requirements. CMS mention above are 100% free, very easy to learn, with the WYSIWYG (=What You See Is What You Get - graphical interface). After the website is made and optimized, a client can edit it how he likes. Editing is easy as writing a document in MS Word.